SURE is teaming up with other charities supporting Musgrove Park Hospital (League of Friends and Love Musgrove) to raise £1 million to provide Musgrove with a much-needed, brand new, high specification 1.5T MRI scanner. SURE is supporting this campaign as recent analysis has shown that over 25% of MRI use is either for cancer diagnosis, treatment planning or follow up, and MRI use is increasing as new methods of diagnosis and treatment are introduced. SURE has already pledged the first £100,000 to the new MRI, and are seeking to raise a further £50,000 towards the £1M campaign. SURE is committed to doing this whilst continuing to support the purchase of new equipment and services for the Beacon Centre and other improvements in cancer diagnosis and treatment. SURE has already committed to funding £100,000 of new projects due to be delivered in 2017, with our regular fundraising continuing to support this work. 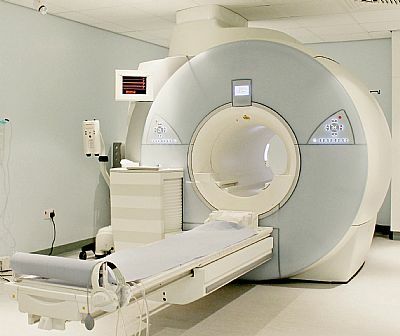 The two current MRI scanners work to full capacity seven days a week, and the Trust has to use external providers to meet the demand, which means longer waiting times, extra cost and repeat scans due to poor quality. An additional scanner will allow the hospital to continue delivering first-class healthcare to the people of Somerset and beyond, and deliver a number of benefits for patients and the Trust, including better patient experience, additional MRI scanning capacity, faster scan times, a reduction in wait times, reduction in outsourcing costs, reduced failure rates and increased diagnostic accuracy, improved clinical outcomes, increased availability to partake in research studies, such as the recent study on prostate cancer diagnosis.